This trail isn't perfect, but it's hard to say anything bad about a 70 year old trail which has stood up this well to decades of use and abuse from hikers, bikers, ATVs, and equestrians. 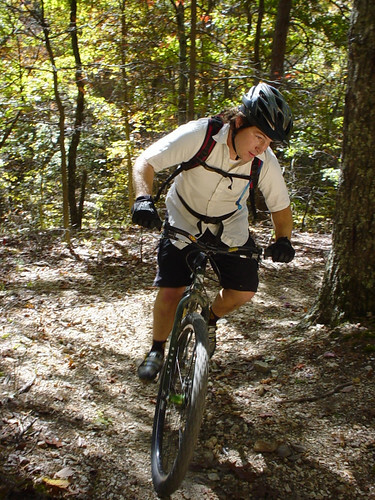 The trail is a rocky 26 mile loop located in the heart of the Mark Twain National Forest. 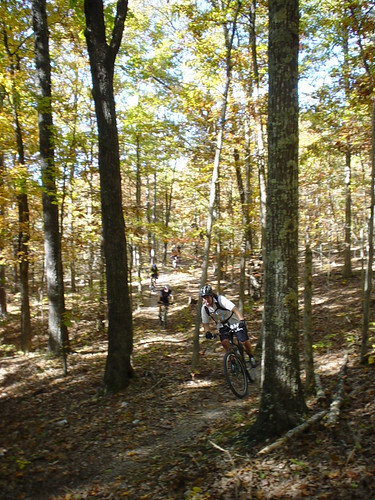 Once designated as an IMBA epic ride, it traverses several Ozark hills and features long, sustained climbs and fast, rocky descents. 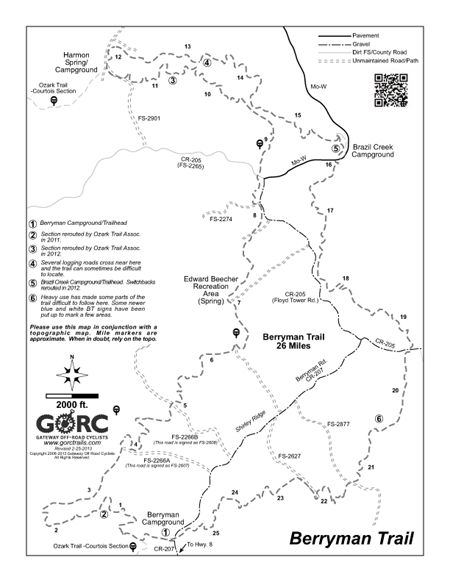 The trail is customarily divided into 2 parts; the western 14 mile section between Berryman Campground trailhead and the Brazil Creek Campground trailhead, and the eastern 10 miles from Brazil Creek back to the Berryman Campground which completes the loop. The Ozark Trail makes use of the western part of the loop from where it joins it at Harmon Spring, to just west of the Berryman Campground. 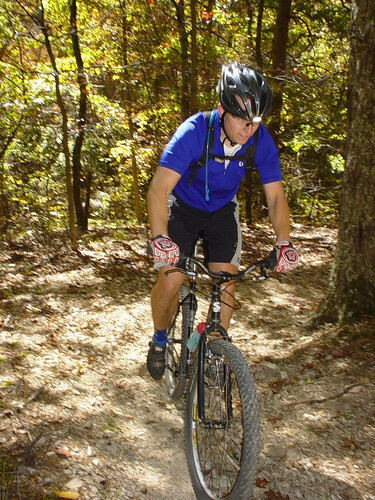 The Brazil Creek to Berryman Campground section has numerous climbs and descents, none of them really steep, which cross several valleys. This section is also quite rocky with many exposed roots. The western section, while longer, generally contains less climbing, but isn't necessarily easier. 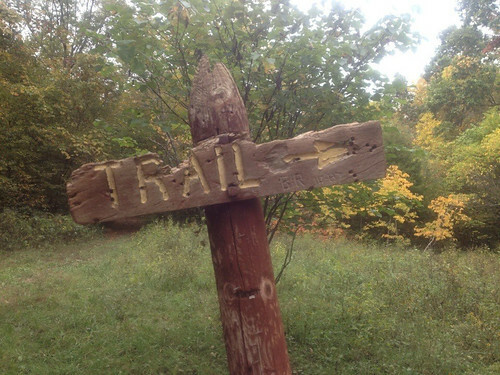 The trail can be ridden in either direction and is open to bikers, hikers, and equestrians so be sure to give right-of-way. While many prefer to go in a clockwise direction it is just as fun to go the opposite and feels like a completely different trail. The trail is resistant to light rain due to its rocky nature, however, please avoid this trail if it has rained significantly over the past 24 hours. 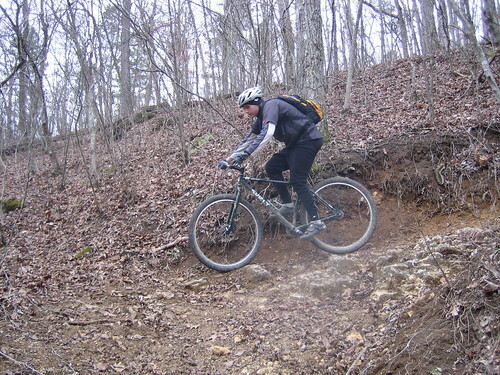 The Ozark Trail Association has redone several stretches which were slow-to-dry mud bogs. There are several small to medium water crossings so bring extra socks. Logging is permitted in the Mark Twain National Forest so be aware of the trail direction and bring a map! The trail crosses fireroads several times so there are many bailout options if you get tired or injured. You are also encouraged to report any illegal motorized trail use to the Potosi Ranger station. No drinking water is available on the trail, so be prepared and bring plenty of water. There is camping available at either campground on the loop - Brazil Creek or Berryman, the latter containing 8 camping spots, picnic tables and restrooms. I-44 to exit 218 Bourbon. South on N to W intersection. 5 miles to Brazil Creek Campground. From Potosi: take Hwy 8 west 16 miles; turn north onto County Road 207 (formerly FR2266). Go about 1.5 miles. GORC has adopted the Eastern side for trail maintenance. Very soft in the first 2-3miles. Then gets significantly better. However, there was quite a few rutted wet spots that should be walked. Would think in the next few days it should be excellent, minus those few stubborn to dry spots. Ice, snow, frozen gravel, and wet creek crossings. Not too much feadfall...still some wet spots even with the cold temps today. 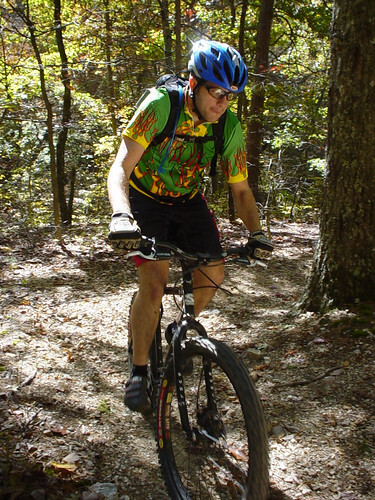 Classic Ozark MTB'ing. Only rode 12 miles worth. Trail was completely cover with leaves, and only had two sets spots that could cause ruts! Did see one large tree down on east loop! Very nice conditions on the berryman trail today. Leafs are deep right now.